Chinese users had to wait for over a year before Amazon.com officially brought its Kindle Fire tablet to the country back in June. But so far, shipments of the products have been very low as competition in the country's tablet sector continues to remain fierce. In the third quarter, Amazon's tablet shipments reached 6,300 units in the country, up from 2,000 in the previous three-month period, according to research firm IDC. That put the company's market share at less than 1 percent in the country. In June, Amazon officially launched its Kindle Fire HD tablet in China, starting at a low price of 1499 yuan ($244). 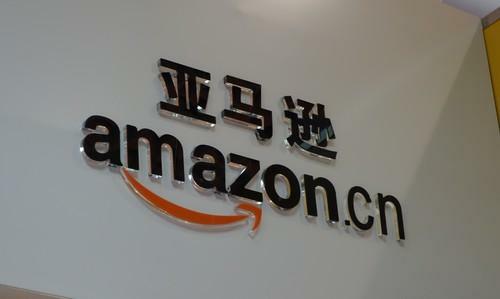 In the previous months, the company introduced a localized version of its Kindle software to support Chinese languages. In addition to offering the Kindle Fire on its own China site, Amazon is also selling the tablet through Suning, one of China's largest retailers, noted IDC analyst Dickie Chang. But Amazon is still in the early stages of its Kindle business, and facing stiff competition from rival brands and local vendors in the country, he added. Amazon on Thursday declined to reveal sales figures for its Kindle Fire tablet, but said it was pleased with the product's performance in China and that customer demand had exceeded projections. Analysts, however, said the Kindle Fire was probably struggling to stand out in the Chinese market. Despite the tablet's low price, little-known local vendors are selling even cheaper Android devices, said Wang Jun, an analyst with Beijing-based research firm Analysys International. "These vendors have high shipments numbers, and you can buy their tablets at just 300 yuan ($48)," Wang added. "So the Kindle Fire doesn't really have a huge advantage." In the third quarter, research firm IDC said 39 percent of China's tablet market belonged to smaller vendors classified as "others". In total, these vendors shipped 2.6 million tablets to the country, up from 2.3 million in the previous quarter. The big brands also saw rising shipments. Apple in the third quarter remained China's largest tablet vendor, with iPad shipments grabbing a 34 percent share. It's newest products, the iPad Air and iPad mini, launched in China this month and are expected to help boost the company's shipments in the fourth quarter. Samsung Electronics was in second place with an 11 percent share, while Lenovo held on to the third spot with 8 percent of the market. In total, 6.7 million tablets were shipped to the country during the period. Next year, IDC projects tablet shipments in China will surpass the country's shipments of portable PCs, but sales of desktops will continue to remain strong. Amazon did not rank among the top five tablet vendors worldwide in the third quarter, according to IDC data.